Aerospace-grade Ni-based alloys such as Inconel 718 and 625 are widely used in the airspace industry thanks to their excellent mechanical properties at high temperatures. However, these materials are classified as ‘difficult-to-machine’ because of their high shear strength, low thermal conductivity, tendency to work-harden and presence of carbide particles in their microstructure, which lead to rapid tool wear. Machining-induced residual stresses in a machined part is an important parameter which is assessed since it can be used to evaluate overall structural resilience of the component and its propensity to fatigue failure in-service. Ultrasonically assisted turning (UAT) is a hybrid machining technique, in which tool-workpiece contact conditions are altered by imposing ultrasonic vibration (typical frequency ~ 20 kHz) on a tool’s movement in a cutting process. Several studies demonstrated successfully the resulting improvements in cutting forces and surface topography. However, a thorough study of UAT-induced residual stresses is missing. 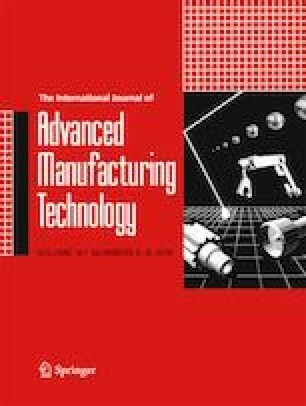 In this study, experimental results are presented for machining Inconel 718 and 625 using both conventional turning (CT) and UAT with different machining parameters to investigate the effect on cutting forces, surface roughness and residual stresses in the machined parts. The study indicates that UAT leads to significant cutting force reductions and improved surface roughness in comparison to CT for cutting speeds below a critical level. The residual stresses in machined workpiece show that UAT generates more compressive stresses when compared to those in CT. Thus, UAT demonstrates an overall improvement in machinability of Inconel alloys. This work was supported by the National Basic Research Program of China (973 Program) grant No. 2013CB035805. This work received financial support from the China Scholarship Council. This work also received funding from the Engineering and Physical Sciences Research Council (UK) through grant EP/K028316/1 and Department of Science and Technology (India) through grant DST/RC-UK/14-AM/2012 for project “Modeling of Advanced Materials for Simulation of Transformative Manufacturing Processes (MAST)” which supported the research performed in UK and India.